Dj on stage from 9pm until 2am. 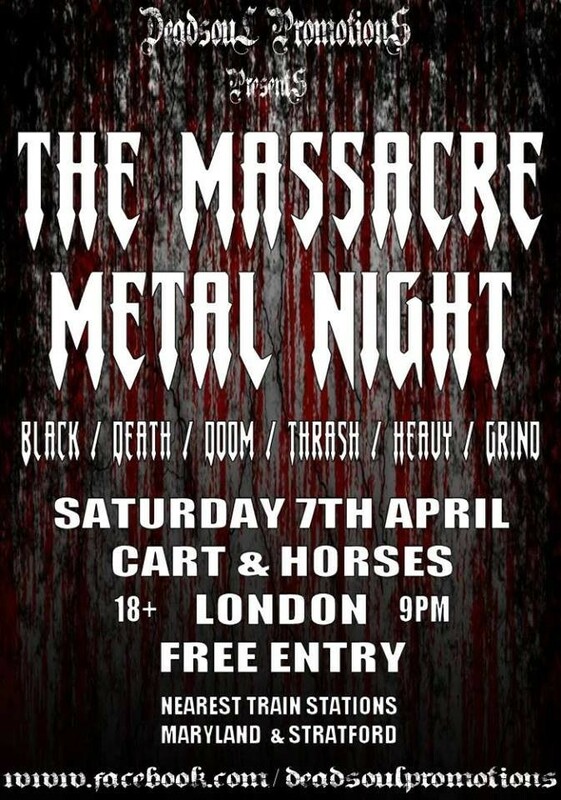 The Massacre Metal Night - London invasion! Expect to hear Black, Death, Doom, Thrash & Grind with some old-school classics thrown in for good measure with DJ's Darren Smith & Gary Bernard Macdonald. From Absu to Anthrax, Burzum to Black Sabbath, Iron Maiden, Carpathian Forest to Celtic Frost, Dead Congregation to Dio...you get the idea!